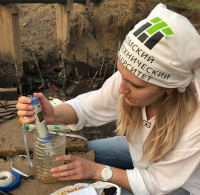 Scientists from Tomsk Polytechnic University have embarked on a water study of one of the largest Indian rivers, Damodar River, within BRICS STI framework programme. The Vice-President of Siemens Russia Martin Gitsels paid a working visit to Tomsk Polytechnic University. They proposed using nanohole-structured microspheres. Light is focused in the nanohole. It plays the role of a kind of additional lens. Isotopes pinpoint strong seasonal variations in black carbon sources throughout the Arctic. In the ENTER project, TPU is responsible for the working package No. 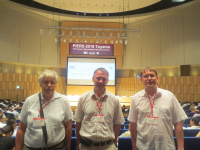 2 Design of Educational Programs of Pedagogical Training for Engineering Teachers. 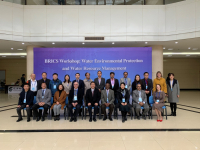 A BRICS Workshop: Water Environmental Protection and Water Resources Management is currently held at Hohai University in China. TPU hosted the delegation of Chinese universities from Hubei Province with a return visit. TPU cooperates with CESAER on the design of a strategy for universities’ engagement in the development of regional and national innovative ecosystems. Tomsk Polytechnic University climbed five positions to reach 35th place. This is the best result among Russian engineering universities outside of Moscow and St. Petersburg. A delegation of Vietnamese enterprises and organizations visited TPU. The joint symposium of Taiwan-Russian research cooperation Development of Functional Materials of Different Applications is held on 23-24 October 2018 in Tomsk. Tomsk Polytechnic University presented its international project Co-creation of EU Human Smart Cities to the delegation of European embassies. A delegation of 18 embassies of EU countries came to the opening of the EU film festival at Tomsk Polytechnic University. TPU rector Petr Chubik went to the Republic of Kazakhstan for a business trip. Leading Russian and Swedish Arctic researchers discussed the main results and grand challenges of the Earth Sciences and a new research expedition to the East Arctic Seas. UArctic is a cooperative network uniting today over 200 universities, scientific and research institutions and industrial companies engaged in research in the Arctic region. PhD students will be experienced in working at laboratories of both countries and get opportunities to apply for European and Russian funding. The city administration of Shijiazhuang and TPU signed an agreement on cooperation. Romanian scientists will hold four open lectures in English.